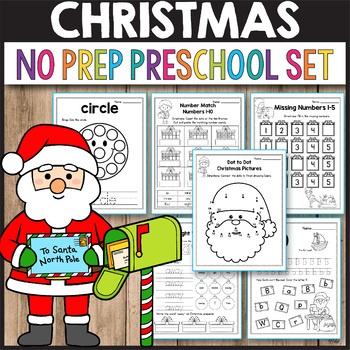 Are you looking for some fun No Prep Christmas Worksheets for your preschool students? 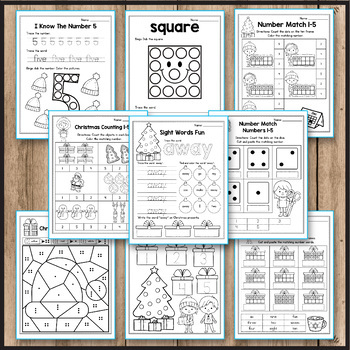 This set includes a fun and engaging collection of 122 worksheets that you can use in the classroom this year. From tracing and cutting lines, to practicing the alphabet letters, numbers, shapes and colors, this set is perfect for every level. This packet meets Common Core Standards for Preschool. This set is part of the MONTHLY PREK GROWING BUNDLE, find out more about it HERE. I Know the Number (1 to 10) 0 – Trace the number, trace the word, bingo dab the number and color the pictures. If you'd like to receive notifications when I upload new products and freebies please FOLLOW ME HERE. Don't forget, new products are 50% off for 24 hours after they are posted! This product is for a single classroom use only. It might not be shared, copied or distributed in any way.